I hit pothole #69 almost a month ago and am headed full speed toward #70. I’m now traveling daily to Baltimore, in good company, to get zapped by radiation. The plan is to make cancer say “no mas” and shrivel on the vine. My fractured finger and mangled hand are healing, as are my battered ribs. I come home to two aging felines who act like a kitty Santa Claus is “in the house.” They sleep close to me with one often wrapped around my head on the pillow. The purring is consistent, and comforting. My schedule at Hopkins daily brings me in contact with the same fellow cancer fighters. We come from different locations, but we gather together to battle a common foe. There are husbands and wives, parents and children, and several loners like myself. I think we find some comfort in each others presence and commitment. When we are wearing our gowns, we all share a certain humility anyway. Once this week I was corrected when I said there was no one who needed me. My friend, Bob, said “What? Don’t you think all those who respond to your FB posts with prayers and encouragement need you?” I don’t know about that, but I’m certainly grateful for them (YOU). In the end, the success or failure of my conflict lies in the hands of the One who created me. Nothing I face can remove from my thoughts the promise below. It’s a promise that was also made to each of you. There is no ban in place or vetting required to accept grace as a gift. Friends, we are so lucky. Miss Anna Mae was my mother’s best friend. They attended school together and were close during their entire adult lives. It was hard on Miss Anna Mae when my mother slipped into the grip of Alzheimer’s Disease. She had lost her own family and, as my mother drifted away, she lost her buddy as well. For years she was the proprietor of the J. Stanley Adams Hardware Store which originally belonged to her father in Marion Station. She dedicated herself to that store and kept it open well into her eighties. I think she felt she was still honoring her father, but the store also gave her a chance to see and chat with people she knew. For much of her later years, I’m also sure she was often lonely. Miss Anna Mae is now in the Genesis Center. She is 97 years-old. My mother spent seven years there before dying in 1995 and I vowed I would never set foot in the building again. A couple of weeks ago, I felt the need to break my vow and stopped to see how Miss Anna Mae was doing. I had not seen her in a few years. I find it difficult to visit Marion because of the “ghosts” that haunt me in my old home town. My visit to Miss Anna Mae was a sad one. Her mind at this point seems trapped in the past. I tried to tell her who I was but, when I would mention my name, she would say, “I don’t know where he is now.” When I mentioned my mother’s name she said, “You know Agnes’ (my mother) mother died yesterday. Mary Howard (my grandmother)! It’s going to be hard on Agnes because she really loved her mother.” My grandmother died in 1975 and that seems to be the time period where Miss Anna Mae is residing now in her thoughts. However, when I started to get up from beside her chair, she immediately said, “Don’t go.” It made me realize that a small part of her was still here. When I did leave her room, I stood outside the door with tears creasing my cheeks. In some ways the visit made old wounds fresh again. If you’re saying “Howard, this is not only long, but it’s a downer,” here is the positive part. Miss Anna Mae was a life-long Christian. She is part of the rich fabric of the memories of my boyhood church. She faithfully played both the piano and organ for worship services. I’m sure she was playing “Only Trust Him” when I walked down the aisle on that most important Sunday. She followed Jesus as long as she could and I believe He is carrying her the rest of the way Home. I don’t know why she is still here despite her loss of memories, but I know it is God’s decision and not mine. When she does pass, I believe there is a little woman named Agnes that will be happy to see her in that far better place. I like to imagine they will walk down the golden streets and my mother will give her old friend a lesson on life eternal in God’s Kingdom. The world finally wore down Miss Anna Mae, but her faith has kept her soul intact. Her precious reward is forthcoming. In honor of my very special mother, Mary Agnes Scott (1912-1995) and her very good friend, Anna Mae Pennewell. I learned about faith and friendship by watching how they lived their lives. *Anna Mae (Adams) Pennewell passed away on Wednesday, March 2, 2016. I smile knowing she and my mother are renewing their friendship again in God’s Kingdom. 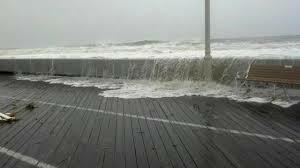 As night fell on Monday, October 29, 2012, Hurricane Sandy seemed prepared to do her worst. As the last of the light faded outside my window, I could see the trees being tossed violently by the high winds and torrential rain. I didn’t want the dark, because I knew I would be even more frightened, but it quickly invaded anyway. My living room was lightened by the glow of my kerosene heater and two battery-powered lanterns, but my attention was elsewhere. Even to my impaired hearing the sound was frightening. The wind howled with banshee-like wails and the rain peppered my windows and vinyl siding like many small stones. In circumstances like this, the need for human companionship seems greatest. Knowing I had not been feeling well and would be alone during the storm, I had been assured by a kind young neighbor and a caring family member that they each would come if I needed them. I knew though, even in the direst of conditions, I could not imagine pulling them from their own families and homes to help me. So, I hunkered down to ride out Sandy’s fury and pray for the best. I stretched out on the sofa and listened for sounds I didn’t want to hear; a falling tree or perhaps a breaking window. Likely sensing my feelings of isolation, or maybe being frightened themselves, my two cats soon joined me. My oldest companion, Frosty, nestled between my legs attempting to nap, while my other pal, Sammy, the sometime bad boy, stretched out across my chest with his head close to mine. Sammy’s contented purrs were loud enough that the sounds of the tempest outside actually became muted. It was during that time I sensed another presence. It was as if Someone spoke to me in an inaudible voice that was more felt than heard. The missive was clear: “I’m here too, my child.” I thought of a spiritual post I had written the previous week of how Jesus spoke to the storm. “Peace, be still” were His words. His message to me seemed to be more along the lines of “Peace, be calm, for you are not alone.” The storm didn’t end immediately, but there was comfort to be found in knowing there were four of us there; three seeking refuge and another giving it. Within a couple of hours the storm had calmed. Sandy’s fury had been expected to last throughout the night so we were blessed. Our neighbors to the north of the Delmarva suffered more severely and yet there were stories of heroic rescues and lives that were spared miraculously. My faith tells me God was in New York, New Jersey, and all those locations where suffering occurred just as He promised he would be all those years ago. “. . . And surely I am with you always, to the very end of the age” (Matthew 28:20). You’ll notice there are no exceptions listed in that verse. I pray that you too will feel the presence of the Master during the storms you encounter. May you be comforted by the knowledge He is with you, just as he said he would be. In the 1960’s I attended the second smallest school in Maryland. Marion High School had a little over a hundred students in grades 7-12. There were only three sports offered for boys; soccer, basketball, and baseball. For girls, the choices were field hockey, basketball, and softball. I had fallen in love with basketball in junior high and was on the team during my last three years of high school. My playing time was limited for most of my career, but I spent endless hours playing with local African-American teens on the courts outside my school. Due to segregation most of my basketball buddies were forced to attend another school in nearby Crisfield. I enjoyed the fast-paced “run and shoot” game played by my African-American friends and never seemed to fit in the slow pace played by my white teammates. Maybe that’s an excuse, but I know which style I preferred. I never considered another sport until I reached my senior year. At that point I decided I would like to letter in a second sport. Baseball was out of the question because I stopped playing after the eighth grade and didn’t consider myself a good player. I had continued to play soccer in physical education class and practiced with the team members although I never officially attempted to make the team. So, my plan was to play soccer and get my second letter in that sport. I tried out and was added to the team. Early in the season, most of my time was spent playing either fullback or midfielder. Most of my playing time was limited to practice, where I took great delight in making my starting teammates look bad. Strikers and wings were equal targets for my spikes when they entered my area. You must understand that soccer as we played it was a lot different than what you will see at the World Cup. Of course, the World Cup players are infinitely better, but they don’t show the same bravado we did. World Cup level players seem to drop at the merest touch, pretending great pain as they roll in agony. The idea is to help your team by getting a penalty called on your opponent. We didn’t play that way. We took great delight in seeing who we could knock down or draw blood from. We didn’t care about penalties because there were no yellow or red cards. You had to do something really bad to get thrown out of a game. Something like starting a full-fledged brawl. It was not out of the question. Modern players would be surprised at the shoes some of us wore. My shoes had leather spikes that were driven into the bottom of the shoe with small nails. As the leather wore down, the nail heads became exposed and you could do some nasty work on an opposing player’s legs. I was part of a group of players known as the “meat club” and if you think we had evil intentions, you are right. The referees began to have spike inspections before the games and would have the team gather in a circle as they walked around and checked spikes. I beat that by simply walking around the opposite side of the circle and was never noticed. About midway through the season, we were scheduled to play a bitter rival, Deal Island. Deal Island was the smallest school in the state and things never went well when we played each other. Let’s just say hostility was rampant. Deal Island had a player who seemed to have been part of their squad forever. For sake of anonymity, I will call him “Timmy”. I don’t know what the eligibility rules were back then, but I truly believe I saw “Timmy” play for them when I was in junior high and he was still playing when I was a senior. To borrow a line from an old Eagles song: “He had a nasty reputation as a cruel dude. They said he was ruthless, they said he was crude.” “Timmy” was also their best player, and the one who emotionally fueled them. Some of my teammates shared time with me in our coach’s consumer math class. The day before the game we sat and discussed the strategy for Deal Island. I nearly fell from my chair when the coach told us his “bright idea” to remove “Timmy” as a threat. I would be inserted into the game with the purpose of goading “Timmy” into a fight that would result in “Timmy” getting thrown out of the game. “What if I get thrown out,” I asked? My coach just smiled and said, “Doesn’t matter.” One of my teammates laughed and said, “Punched out is more like it.” Well, the idea of punching “Timmy” in the fist with my face wasn’t the most appealing one. Sure enough, the next day, I was inserted into the game as the right wing. Something strange happened. I played the best game of my life. I made one or two laser-like passes to teammates that were converted into goals and I scored a goal of my own; the only one of my career. I might add, I stayed well away from “Timmy,” but it didn’t matter because we played well and my coach was happy. That game was the highlight of my soccer career proving fear is a great motivator I guess. I continued to play, but not with the same skill, and often would hear my coach yell, “Why did you do that?” I couldn’t answer because I didn’t have a clue. I went on to Carson Newman College and made the team there, but soccer was demoted from a sport to a club and I couldn’t afford the expense of buying my own uniform and shoes. For a short time I did get a chance to play with the best players I had ever seen and to steal the ball from the best of the best. Somewhere, an African by the name of Valentine M’bong is probably still scratching his head. I could author many basketball stories, mostly from my 20 years as a high school coach, but this is my only significant soccer story. 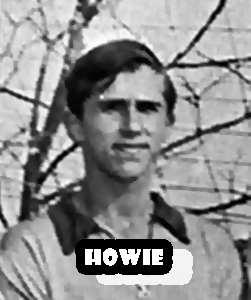 It’s a special one though, because for one afternoon in 1965, on a field behind the old Marion High School, I was Pele.